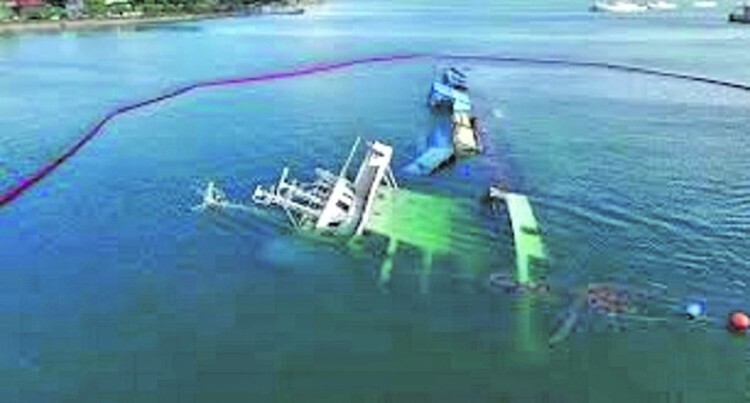 Maritime Safety Authority of Fiji (MSAF) chief executive of­ficer John Tunidau said that the sunken Southern Phoenix is ex­pected to be removed from the South Harbour of Suva Port early next year. “The vessel remains under the Authority’s surveillance to ensure any spills from the ship are dealt with,” Mr Tunidau said. The ship has been lying in the harbour now for more than seven months. Mr Tuniday said that they (MSAF), Fiji Ports Corporation Limited and owners Cruz Holdings Limited have met to en­sure that the tender was awarded . Work would start sometime in January. The absorption pad have circled the wreck as a precaution since it sunk on May 6, this year. The company CHL according to its website has a fleet of nine vessels: – cargo vessel Southern Phoenix; general cargo container MV Komaiwai; landing barge L.C Senikabuta, dump barge D B Yarra I; dump barge D P Yarra II; landing barge Adi Waitui; ocean going tug boat M T Bandicoot; ocean going tug boat M T Mariner and fire­fighting tug boat M T Numbo.